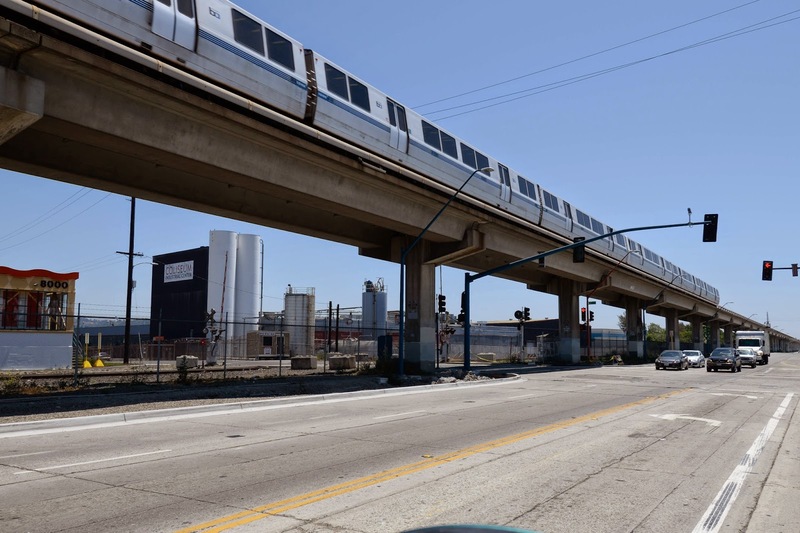 Only marginally more attractive than yesterday's Airport Connector is this elevated BART viaduct that runs along the median of San Leandro Street. These trains are very convenient, especially for people not wishing to be stuck in traffic during their morning and evening commute. 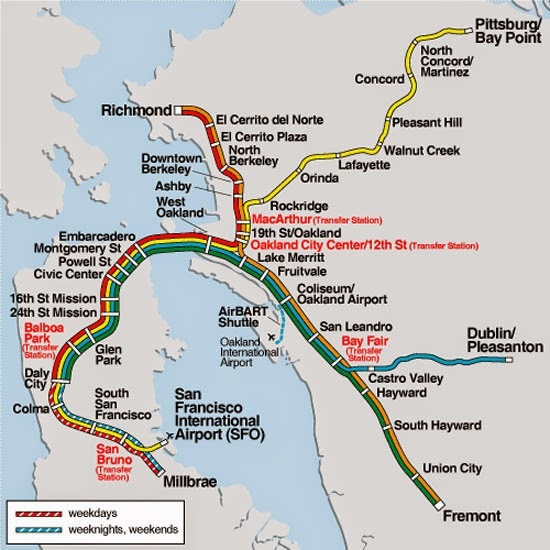 One can take BART from San Francisco to Richmond (traveling under the Bay), and then take Amtrak from Richmond to Sacramento. The BART system was begun in 1964 and had to survive several lawsuits before they began building their first tracks. The line between San Francisco and Oakland began service in 1972. The viaducts were designed for earthquakes, although the magnitude of ground shaking was originally underestimated. However, the system survived the 1989 Loma Prieta Earthquake with very little damage (to everyone's relief). BART passed a bond measure to retrofit part of their line (after a previous measure had failed). It looks like they never got around to retrofitting this segment though. Alameda County, California Bridges: BART Viaduct by Mark Yashinsky is licensed under a Creative Commons Attribution-NonCommercial-NoDerivatives 4.0 International License.